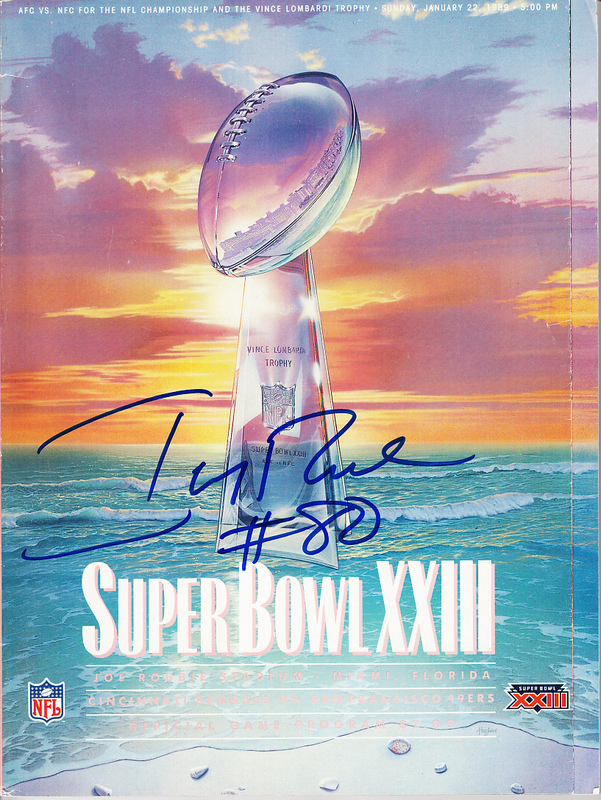 Original Super Bowl 23 game program autographed nicely in blue marker on the cover by legendary San Francisco 49ers receiver Jerry Rice (who was named MVP). 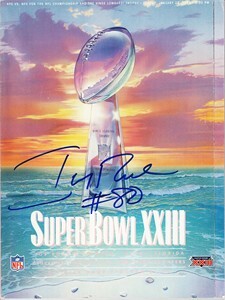 Obtained in person, with photo of Rice signing this exact program. With certificate of authenticity from AutographsForSale.com. Has very minor wear. ONLY ONE AVAILABLE FOR SALE.